I love fish roe. Those teeny tiny pockets that seem to just burst on your tongue. It was a special treat I enjoyed even as a kid. Whenever we’d eat fish, my grandmother would steal all the puga—that’s how we call it—from the fish and heap them on my plate. I was a very picky eater, so whenever I enjoyed eating something, she made sure I got lots of it. Roe from fried dalagang bukid. Roe in pesang dalag. Roe from paksiw na ayungin. Roe from ginataang biya. I love it all! Thanks to attempts to give formerly lowly elements of Philippine cuisine modern twists, I have a new way of enjoying puga: Bottled Fish Roe! I first ran into Bottled Fish Roe years ago at Gourmet Cafe in Silang, Cavite. While I loved their fish roe there, it’s quite far so I never get to eat it as often as I’d like. Thankfully though, we discovered Blue Kitchen‘s Bottled Fish Roes, so it’s easier to satisfy my cravings. 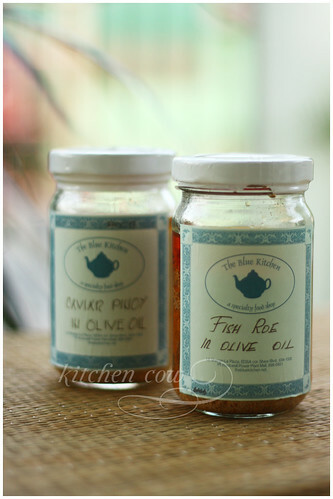 Blue Kitchen’s comes in two variants: Fish Roe in Olive Oil and Caviar Pinoy in Olive Oil. The main difference is that the Caviar Pinoy is a bit spicier, mostly due to the addition of siling labuyo. Personally, I like it more because of that but not by much. Either of the two make me very happy. Imagine, gobs of savory fish roe, exploding on your tongue with every bite. More than the flavor, it’s the texture that really clinches the deal for me. 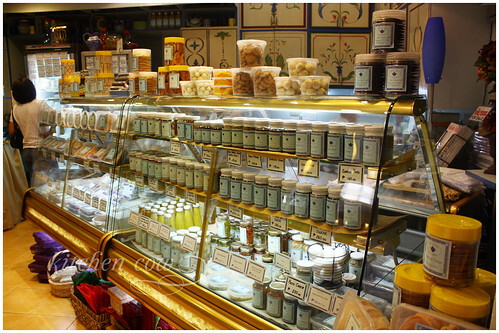 Aside from the Bottled Roe, Blue Kitchen has more yummy goodies (like Bottled Tuyo!) so their shop is always worth a visit. Roe. Bihod. Puga. No matter how you call it, it’s the same yummy morsel for me. Give me a healthy serving, heaps of steaming white rice and I’ll be a happy little cow, nomnoming in a corner.